There are two vogues currently hitting M’sia. The first is “running”. There is almost one race every week somewhere in M’sia. In fact this coming 25th April, there are at least 3 races I know of – Bidor Half-marathon, MPSJ NST Subang 10K, and Larian Kubur. 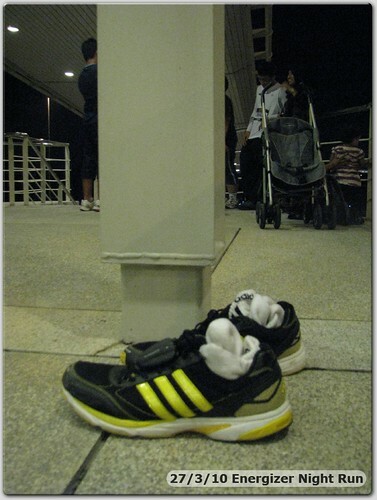 Larian Kubur? (loosely translated as Cemetery Run). 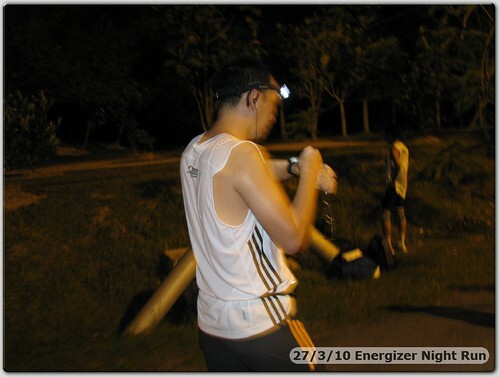 Yup.. you read it right… a 11 km run through the Kwong Tung Cemetery in KL. Oooh… exciting ain’t it? I felt they did waste a marketing opportunity since Cheng Beng (where Chinese families visit their ancestors’ graves) is on this 3rd April. They should have planned it on the same week and called it “Cheng Beng Run” and promote it as a family event where you can run and do your Cheng Beng visitations at the same time! Not to mention if you have everyone running instead of driving their cars to the cemeteries, traffic jams during Cheng Beng will soon be a thing of the past! Anyway, the 2nd vogue is “night races”. 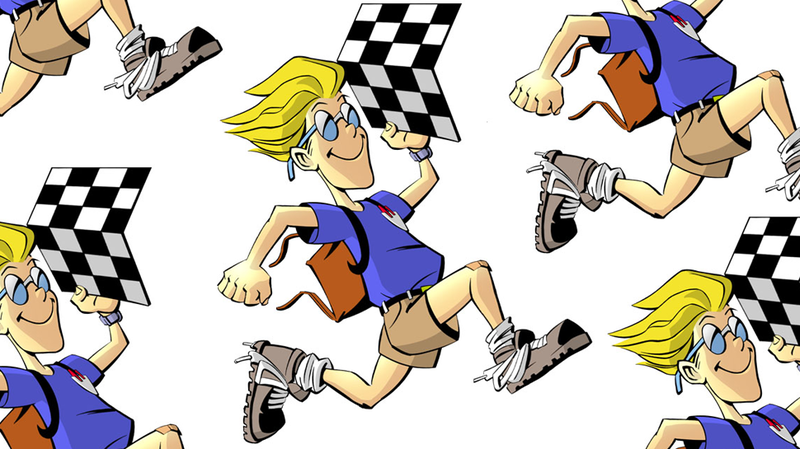 Back in the good ol’ days, we used to start the races in the wee ungodly hours of the morning. Races would start normally 5:30 – 7:00 am and if you are doing the full marathon say in 5-6 hours, you’ll still be on the road when the sun is sweltering hot coming into the early afternoon! Not exactly an image race organizers would like to etch in our mind. Bravo… and therefore Night Races came into vogue! 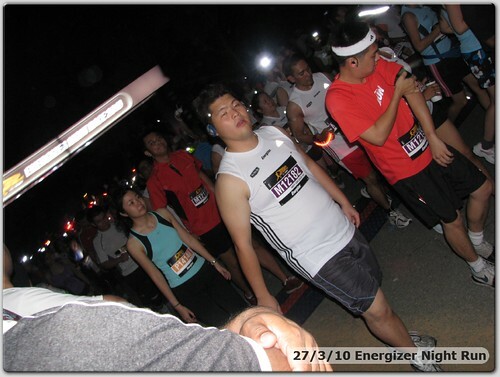 I only took part earnestly in racing last year so with my limited knowledge of the local running events, I would say the first local Night Races was Shape & Men’s Health Night Run held at Putrajaya (usually held around the middle of the year). 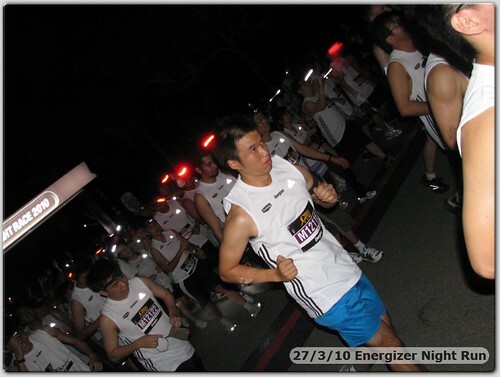 Last year, there was only one night run. 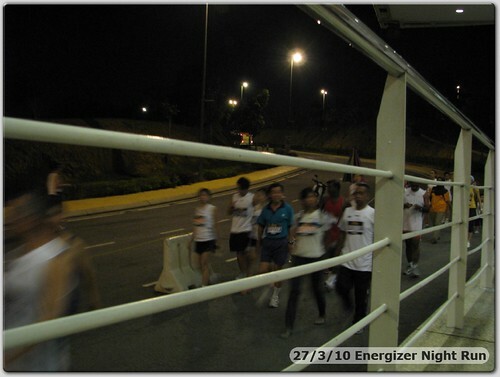 This year, there are already 3 scheduled night races – the recently concluded Putrajaya Night Run on Feb ’10 and this Energizer Night Race (which was just last Sat). 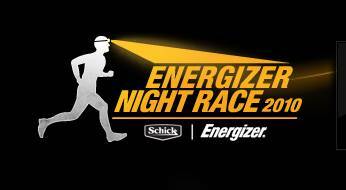 Shape & Men’s Health is still organizing their annual Night Run this coming July. Back to topic ie. 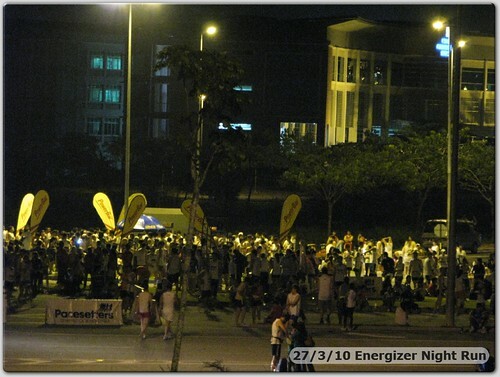 the Energizer Night Race (ENR) which was held at Cyberjaya last Saturday. I think this was the first race done at Cyberjaya so it’ll be a opportunity to see how Cyberjaya holds up as a running venue compared to Putrajaya (which I’ve to say has been successful as far as running events go). The organizer has been doing a great job in terms of promoting this event and keeping the excitement level through an active Facebook fan page. 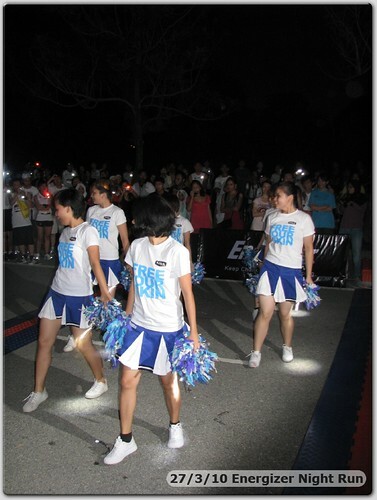 Besides StanChart Marathon, ENR is one of those who understood how to tap into social media for their event marketing! Looking back, we shud have spotted something fishy there and then. If they didn’t even bother to ask us for our vest size, how the heck would they be able to know how many of each size to get? I’m sure there’s no country-wide runners database profile with chest/vest measurement for them to cross-reference…. so? Come Race Kit Collection day, the ENR Facebook page were literally bombarded on the very first day with complaints from runners who were unable to get the sizes they wanted! It seemed for male runners, size M & L were in such short supply, they ran out of them within 45 minutes of opening the collection centre (11am) on the 1st day which is on a working day! I dun think everyone took the day off just to collect their race kit so it must mean they have only a very limited quantity of M & L to give out. Oh.. it’s not that they ran out of running vests. The other runners still have plenty of choices.. .plenty of XL, XXL, XXXL, XXXXL, XXXXXXL, XXXXXXXL sizes on offer. sigh. With most runners of Asian sizes, you can imagine where this is going. Fingers started pointing…. Organizers – and by organizers, I meant Energizer & Pacesetter – said Adidas didn’t give them any choice of sizes, they just dump the vests to them. Adidas in reply said there was some miscommunication. In short, EPIC FAIL. Sad that Adidas chose to use running events as a “dumping ground” for their leftover sizes instead of sincerely supporting the local running community. Sorry, in Adidas PR lingo, we do not call it “dumping old stock”, it’s simply called “miscommunication”. 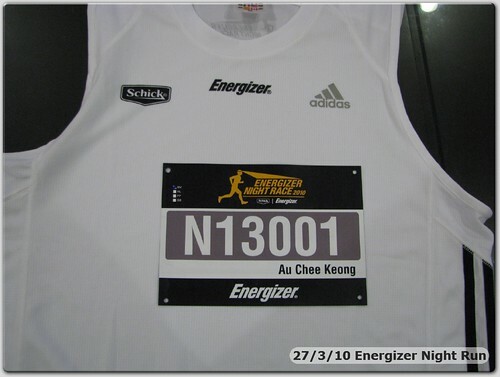 The other issue which was swept under by the deluge of complaints on vest sizing is that when runners first questioned the organizer why was the event so expensive (RM60 to sign-up), Mr Energizer replied that you get 1) a good quality Energizer headlight, and 2) an imported Adidas running vest. I understand the logistics of organizing a running event is huge and there’ll be issues and problems here-n-there. However to so completely screw up the sizes of the running vest demands a disorganizational competence of such mega black belt level which these three Amigos (Adidas, Pacesetter & Energizer) collectively known as APE delivered to their best capability. Well done! 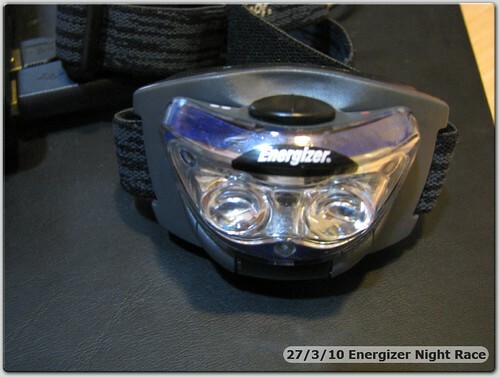 The one saving grace in the Race Kit is this Energizer Headlight. Supposedly costing RM30, it’s quite sturdy and fits snugly on your forehead. 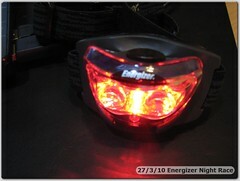 It gives out two types of light; a very bright white light and a dimmer red glow. The white light is very bright and shines the way forward even in near darkness while the red light is useful for you to put behind your head to warn incoming traffic of your presence. Cool! 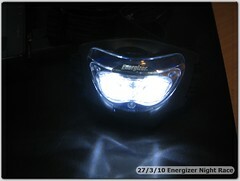 Note: I felt compelled to add; using the headlight to warn incoming traffic of your presence on the road in M’sia DOES NOT mean they’ll safely avoid you. Pls note some M’sian drivers have the inexplicable urge to drive towards anything that has lights on. With MEX, it’s a breeze to drive to Putrajaya/Cyberjaya. Think we spent only like 15 min on MEX before we reached the exit to Cyberjaya. 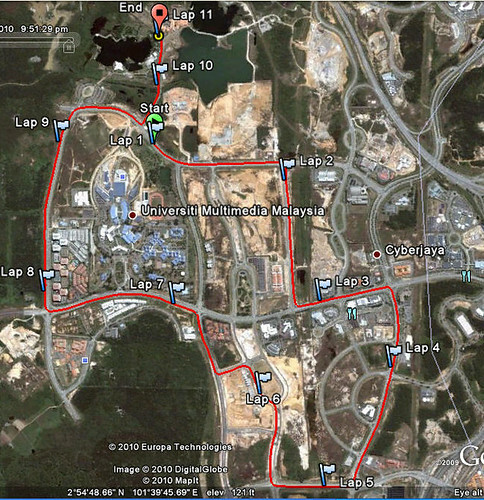 With MEX, running events at Putrajaya/Cyberjaya is not such a hassle to get to anymore. Thumbs up! 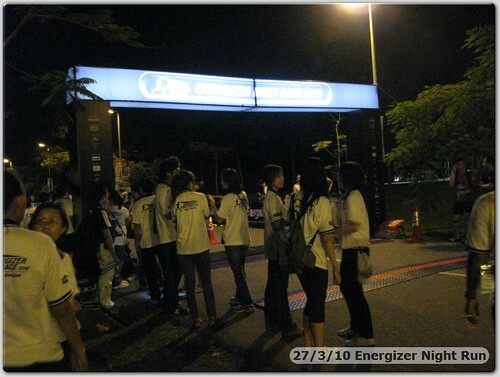 Mr Energizer posted a very useful “Getting There” guide including locations of the seven public carparks (designated P1-P7) where we are advised to park our cars and take the free shuttle bus to the starting point. We ended up in P2 which is the Cyberjaya Sports Arena (eh, got futsal?!) and within 5 min, the Route 2 RapidKL shuttle arrived and picked up a handful of runners….. we did get stuck in traffic on the way to the starting point as the 42K runners have started (6pm) and the traffic police were closing off certain roads to allow the marathon runners to pass. The shuttle dropped us at Main Gate 1 of Multimedia University (MMU), and when I noticed a queue forming up in the guard house for the loo, I decided to join them so as to empty my bowels before the run. I usually wear my dark blue Adidas tee in races, however I decided for races where organizes provide running vest (not t-shirts), I should wear the official running vest instead. 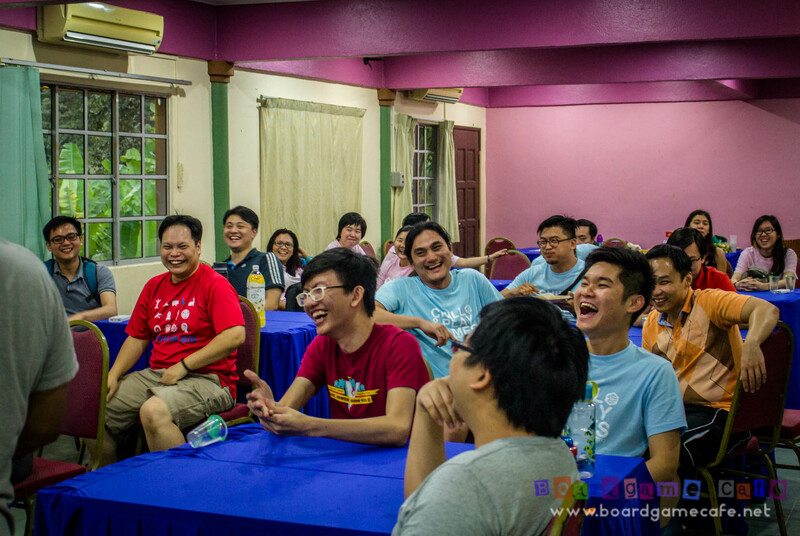 Promote la sikit the event…. 😛 So this time I am decked out in the Adidas ENR vest even though it’s oversized for me. 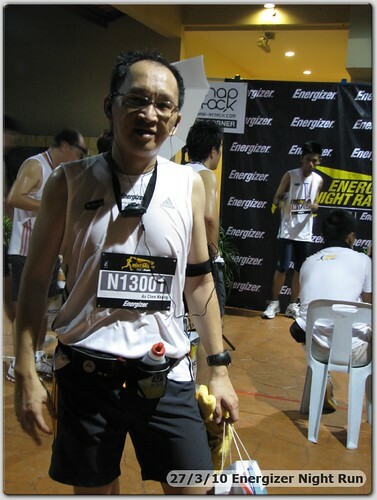 While waiting for my turn to the loo, there were noises coming from the padang next to the starting point. Think the 21K runners were assembling for their flag-off. Good luck! After I’d done what I need to do at the loo, another shuttle bus arrived with more runners. These would be only 10K runners since the 21K have already flagged off sharp at 8 pm. Ours start was at 9 pm. After a short 10 min warm-up, it was time to get into the starting pen. I find the starting pen to be rather narrow thus runners were packed deeper in rows. I did not get as front to the frontline as I did for Bareno Run but then again, from past experience the rabbits would probably sayur me at the start regardless of where I stood. It’s still important not to stay too far behind as otherwise you’ll be “forced” to do a walking start until the front crowd disperse. The organizer has arranged for entertainment to keep us occupied while we wait for flag-off time – not that we need any. Listening to the chatters of the runners around me is usually good enough entertainment (tsk tsk). We did get some pom pom cheerleaders later…. 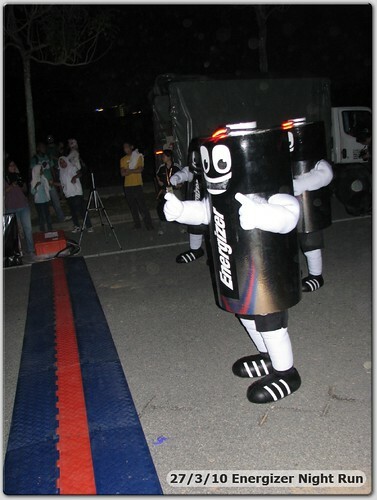 With 5+ minutes remaining to 9 pm, someone suddenly walked up to our starting line and announced Mr So-and-so from Energizer will now flag off the run! Eh? still got 5 min more wor!! Anyway early flag off it was… and BAM! off we go…… at around 8:54:30 pm on my Garmin. Ah…. resumed running after the crowd dispersed…. This was marked as a 10K run, and it basically looped around Persiaran Apec, Persiaran Multimedia and back to MMU via Taman Tasik Cyberjaya. Hilly-wise, I would think it’s relatively flatlands compared to Bareno Run. Target wise I’d hoped to keep to a 5:30-5:45 pace. The Lap markers in the map above are wrong. What happened was that due to the “early” flag-off, I was fumbling with my Garmin when we started… and accidentally pressed the Lap button to force-lap the 1st Lap while I was still at the starting point! Hence Lap 2 in the map is really Lap 1 (ie. the 1st KM mark) and so on…. 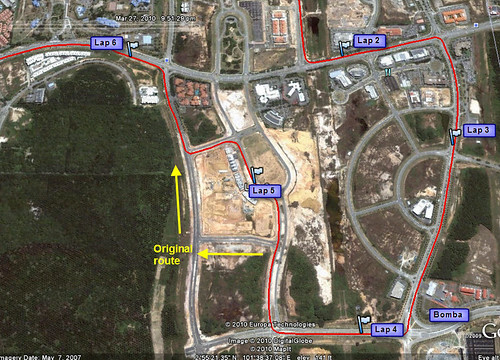 In subsequent maps (below), I’d corrected those wrong lap markings with a blue lap marker box. I’d marked the route earlier and identified certain landmark buildings as my distance/pace targets. However the first sign of trouble came when we were asked to turn right after about 1 km along Persiaran Sepang. The original route said we were to run 2 km along this road before turning right into Persiaran Apec. Hmm.. change of route? Why weren’t we informed? Surely this was not a last-minute thing the organizer just decided this evening? Anyway we just carried on and we did eventually turn into Persiaran Apec and continue along this road until we reach the Bomba / Dell junction where we then turned into Persiaran Rimba Permai. Across the road, I could see some 42K runners coming back and the Bomba peeps were there with their fire engine and hosing cold water over the 42K runners. That was a nice thing for Bomba to do!! 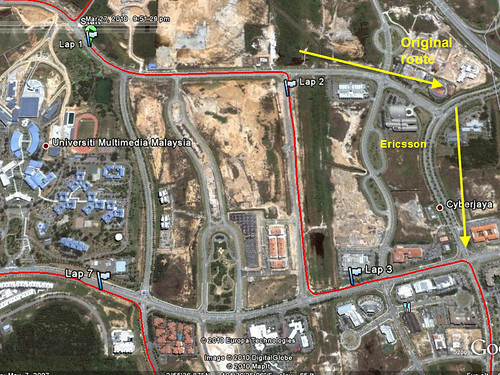 There was another change of route here as we entered Persiaran Ceria (see map above). I’ve passed the 4 km mark now and have been doing a steady 5:40 pace on average. Good good… But for some reasons, I began to slow down to a 6 min pace after this. Wasn’t any hill or slope to trouble me… maybe it’s just me not able to focus on my cadence to ensure I’m keeping to the target pace. Need to make a note to myself to ensure I train to keep to a consistent cadence. There was a water station around the 4.5 km mark (and another at the 7.5 km mark). I stopped at both water stations to ensure I got some water into my body to avoid dehydration considering how hot Putrajaya can be (and by extension Cyberjaya). In hindsight, I could have just carried on and drink from the small water bottle I carried on my waist pouch. Cyberjaya seemed less humid / dry than Putrajaya. Earth Hour? 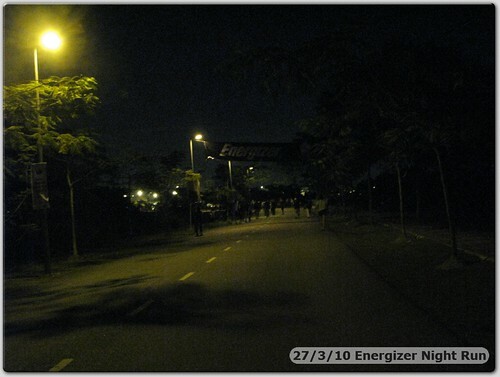 It should have been Earth Hour time yet everywhere I see lights are left on around Cyberjaya. 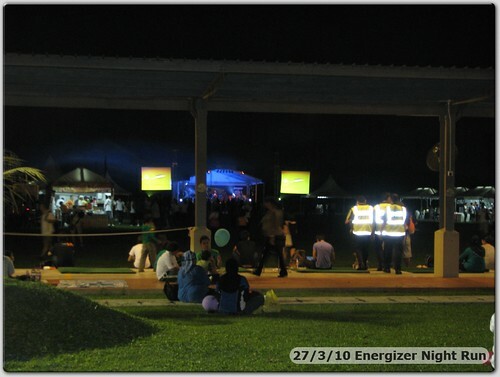 Seems like Cyberjaya is oblivious to Earth Hour? After we exit Persiaran Ceria, we then ran across Persiaran Multimedia which bordered the back of MMU. We turned into Persiaran Bestari (from Lap 7) which would lead us towards Taman Tasik Cyberjaya (at the end of this road) for the last 2 km leg of this run. A bit of an uphill road here… nothing major and as soon as we hit the flats and with only 2 km to go, I made the final push from the 8km mark towards the finishing line. Was doing 11.5 kph now as I went for a strong finish. My Garmin then refused to respond to my tap or touch! Probably becoz my fingers were wet as the Garmin’s bezel is known to be unresponsive to wet touches. God knows how long I stood there trying to get my Garmin to stop the timer and save the run data…. grrrrr…. Garmin not responding to wet touches…. haiz. And notice how “loose’ the XXL running vest is. My average pace was higher due to those 6 min/pace laps I did in the middle of the run, for no particular reason other than loss of concentration I suppose. I did not feel any overexertion in ths run so should have done closer to 5:30 pace. Back to the training room… hehehe. waiyan was at the finishing line to meet me, and since the crowd was still relatively thin then, I quickly went to collect my goodies bag (which has the finisher medal in it), got myself replenished with lotsa Gatorade drinks… Goodies bag not bad… at least it has beter value than SCKLM’s, and Putrajaya’s Night Run has no goodie bag. Did not want to stay too long and after taking some snaps in front of the Snap-attack booth, we decided to start leaving…. as we were walking away from the finishing area, we saw Yimster in the queue for goodies bag. He was all drenched (from his 21K run) and I think he was in the wrong queue for goodies bag. He went into the rather long queue for 10K goodies bag whereas his 21K queue would be much shorter I think. hehe. Have to say the signages for 10K, 21K and 42K goodies bag were not helpful to say the least. To walk out from the finishing area to the main gate (where the shuttle bus is waiting), we were literally walking along the same narrow road that the runners were coming in for their final straight! When I was running back, there were less finishers so the finishing lanes did not look so chaotic to me. 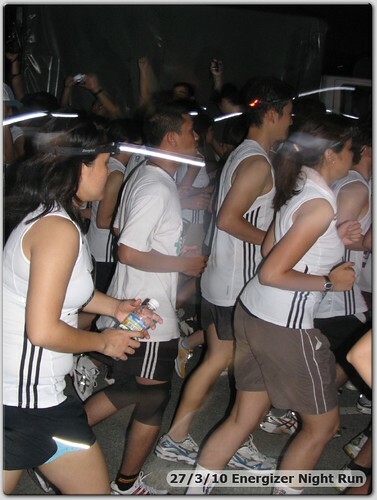 But when we were leaving (must have been around 10:15 pm), a lot of runners have returned and were leaving as well…. This caused the finishing lanes to resemble a busy pedestrian walkway with ppl walking on one direction (ie. going out from the finishing area) and runners coming back on the opposite direction (heading towards the finishing lanes). Some of the finshing runners looked confused… as if they ran slam-bang into the crowd and wondering if they were on the right lane to finish. I even read from the ENR Facebook wall later that some peeps who parked their cars along the finishing lanes (yes, it appeared possible to do so if you came real early) decided to just drive out with the runners coming from the opposite direction! Was told there were a few near-misses of these outgoing cars hitting into the incoming runners…. aiyo! 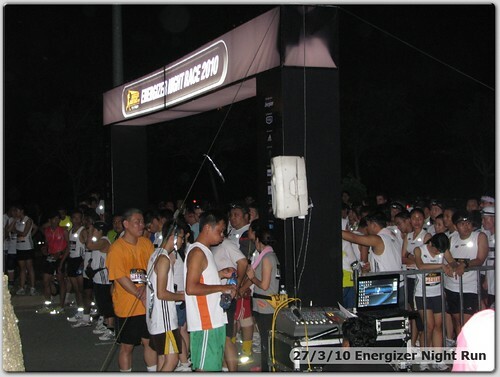 Overall (leaving aside the APE running vest issue), it was just an averagely organized event considering Energizer’s global reputation of their Night Races and Pacesetters supposed-experience in organizing road races. On our way back, we could see some of the 42K runners who were still on the road having to brave traffic and even cross the Cyberjaya roads on their own with no police assistance! These runners have been on the road for over 4 hrs… they must be very tired.. and it is dangerous for them to cross the rather wide road on their own. 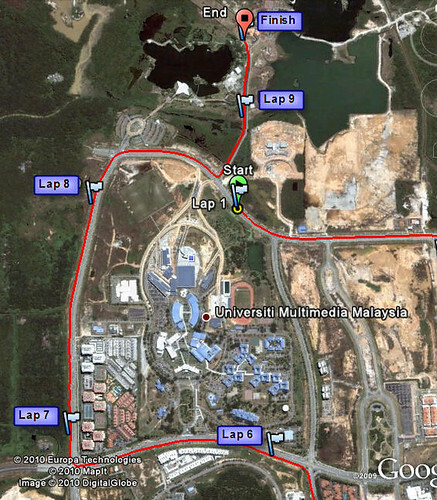 Perhaps Cyberjaya is a more challenging location to hold longer distance runs as compared to Putrajaya where I think the road access is easier to close off. Organizers need to consider this factor – road safety – in future. Water-wise, there were 2 water stations for my 10K which is more than enough as I usually do not stop for water in a 10K run (which is not a long distance). But for those runners who do, the water stations at 4.5K and 7.5K should suffice. On the plus side, the route represented a “change of scenery” for us compared to the familiar Putrajaya route and being able to run past those huge Cyberjaya MSC buildings were nice! 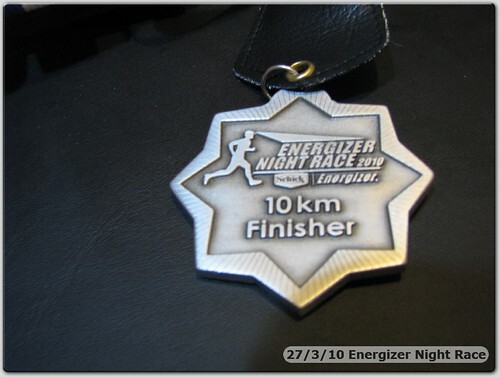 The finisher medal looks cute. It’s much smaller than the Bareno medal (about half its diameter); but I like this better. Well done here. Next Race? Most likely Larian Bomba on 2nd May before the biggie SCKLM in June. 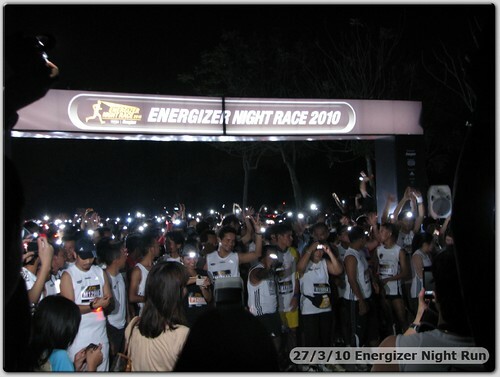 Come to think of it, with Tenaga’s success rate in organizing “Blackout” events, do we still need Earth Hour ar? 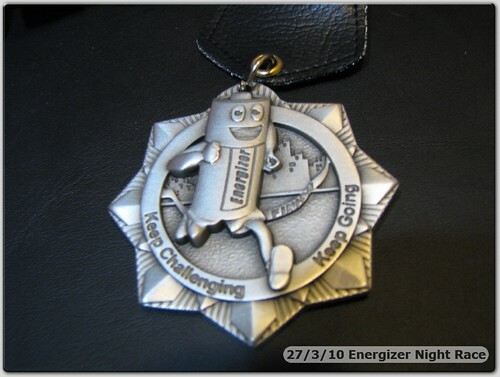 14 Mar ’10: Bareno Run 2010 – If the hills dun kill you….